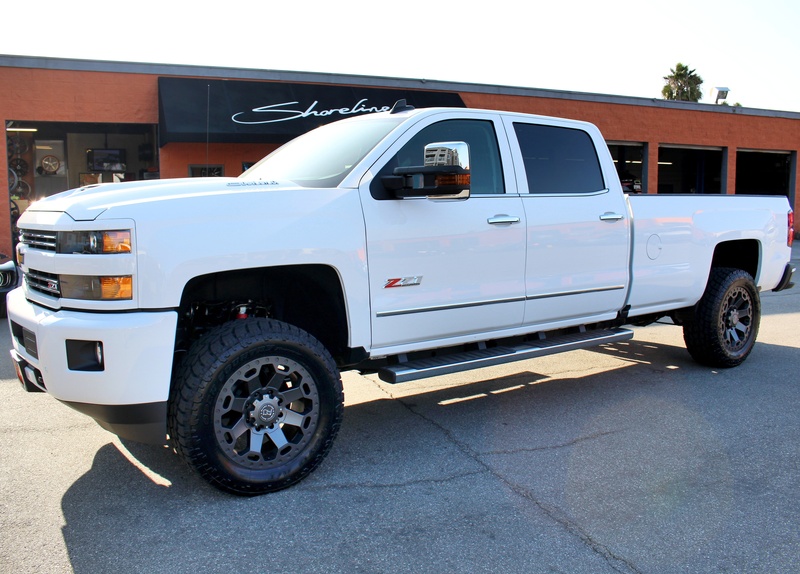 2016 Chevy 2500 in for a 3" CST Suspensions lift kit, 35" Toyo Tires with 20"x10" Fuel Offroad Wheels, Amp power steps, tint, PedalBox performance upgrade, bedcover and some custom paint and interior work. 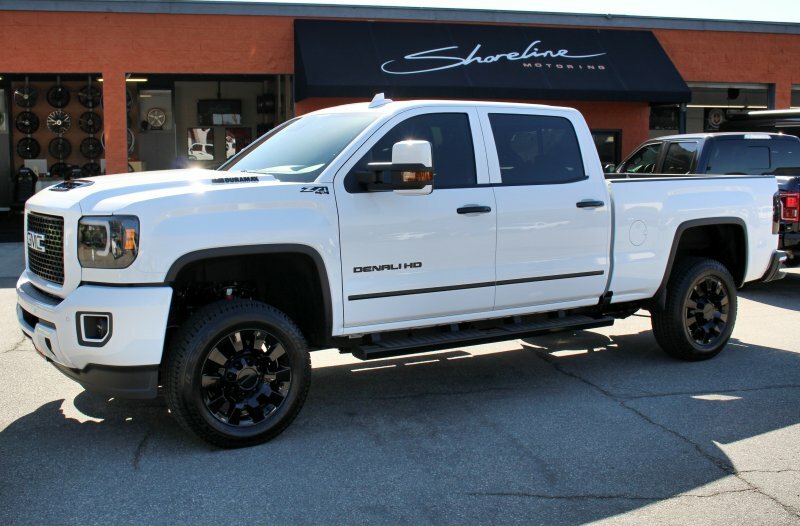 2015 Denali HD in for 20" Fuel offload wheels, Toyo M/T tires, leveling kit and a PedalBox. 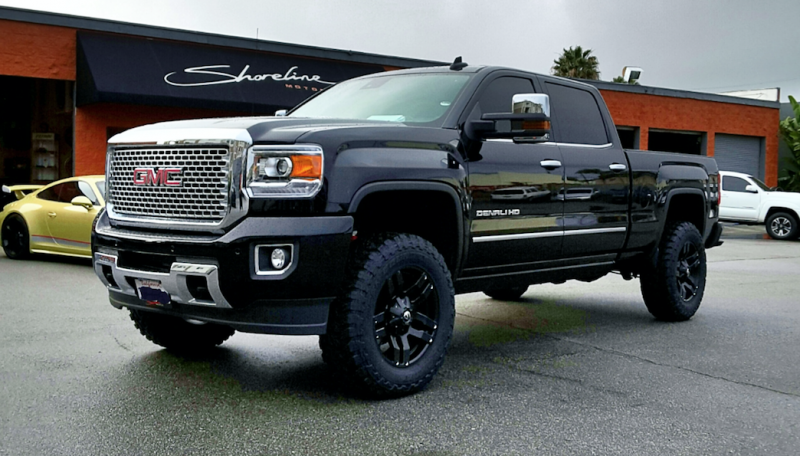 2016 GMC Denali HD in for a CST suspension package, 20" Fuel "Lethal" wheels, Toyo A/TII tires and a PedalBox. 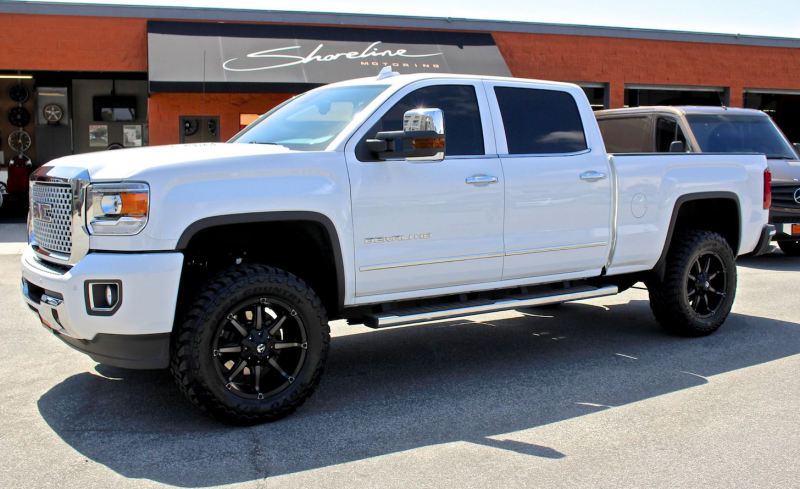 2014 Chevy 2500 HD in for a 20" Fuel wheels, Toyo tires and a PedalBox to top it off. 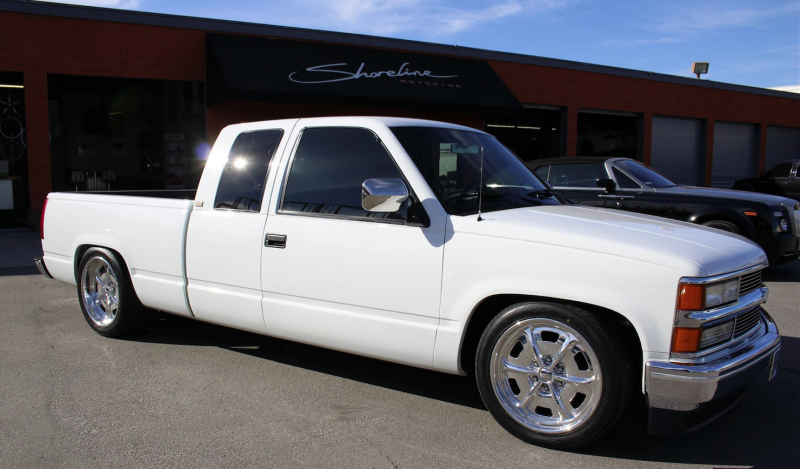 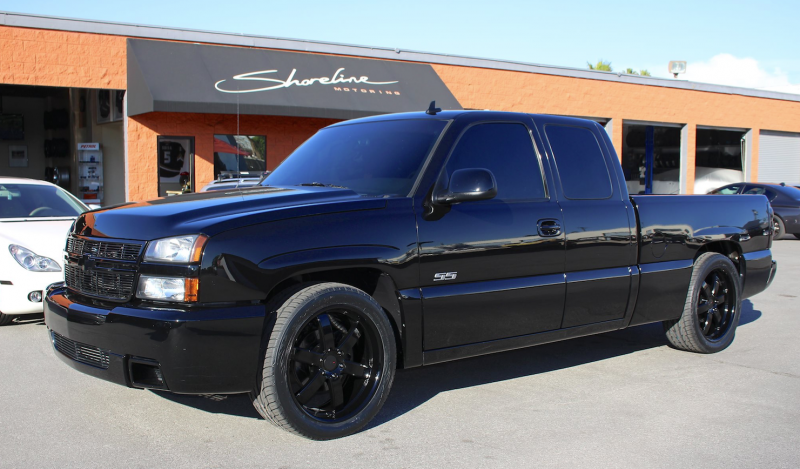 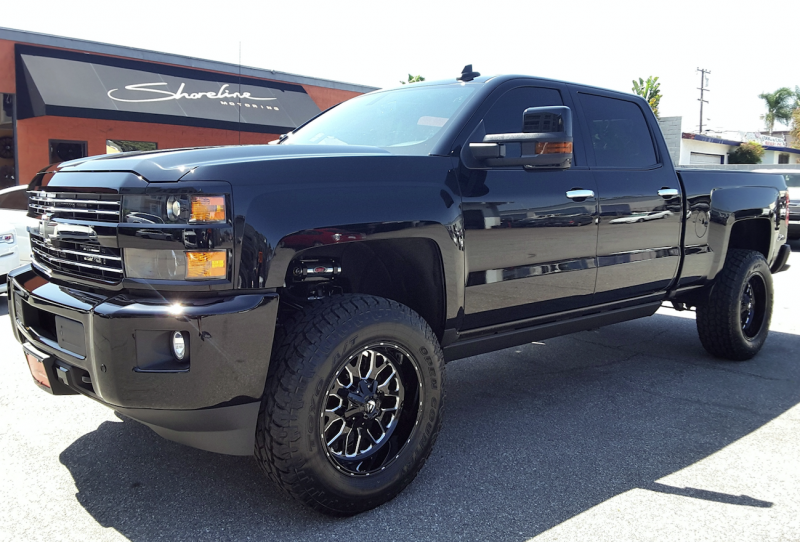 Chevy Silverado in for 22" TSW wheels, Toyo tires, lowered suspension and a PedalBox. 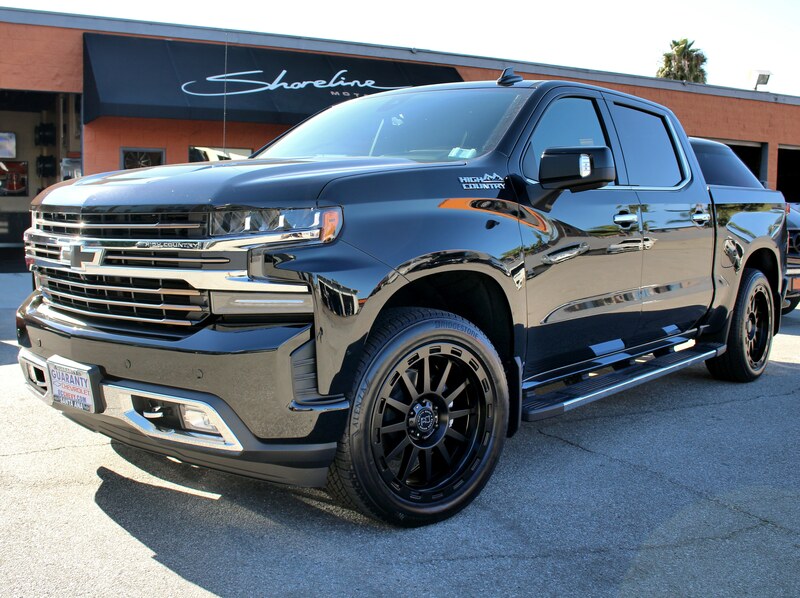 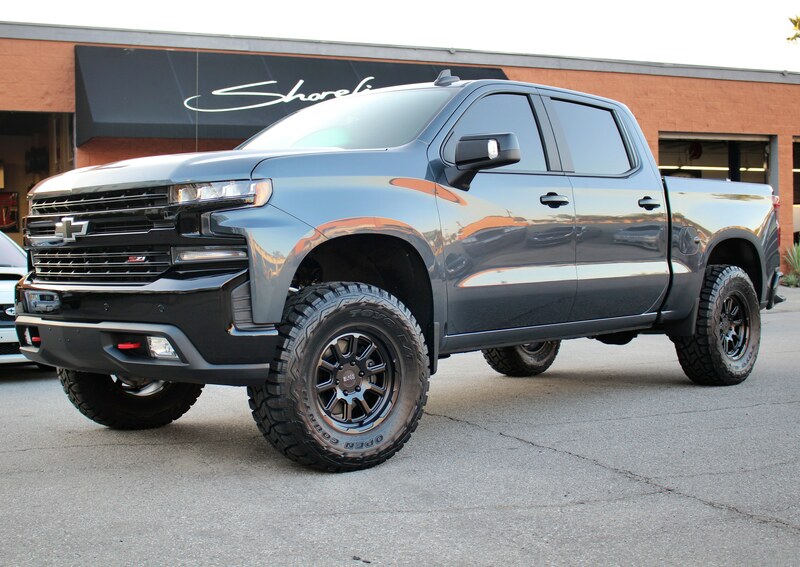 2016 Silverado in for a suspension leveling kit, 20" Black Rhino custom wheels, Toyo Tires, Magnaflow Exhaust, Tint , BedRug, Firestone Airbags and a PedalBox performance upgrade. 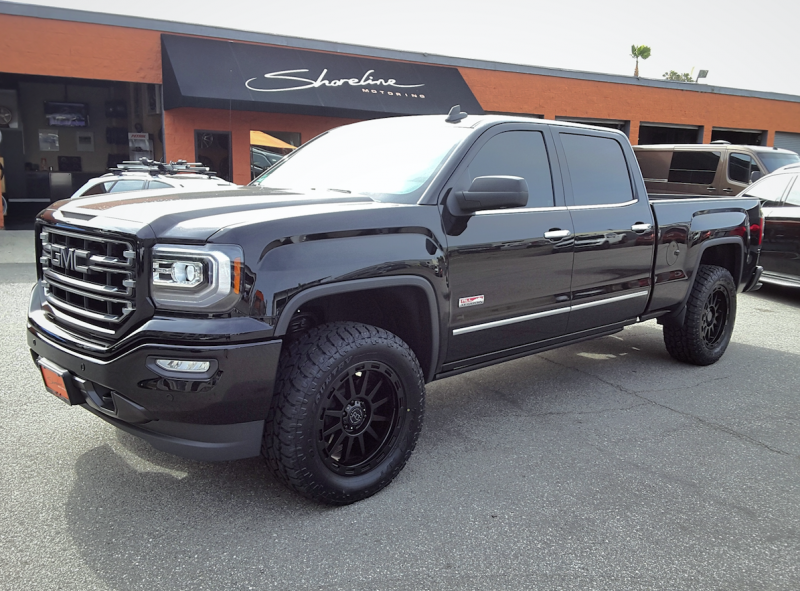 2016 Denali HD in for 20" Fuel offroad wheels, Toyo tires, leveling kit, window tint, magnaflow exhaust, Amp power steps and a PedalBox from DTE Systems. 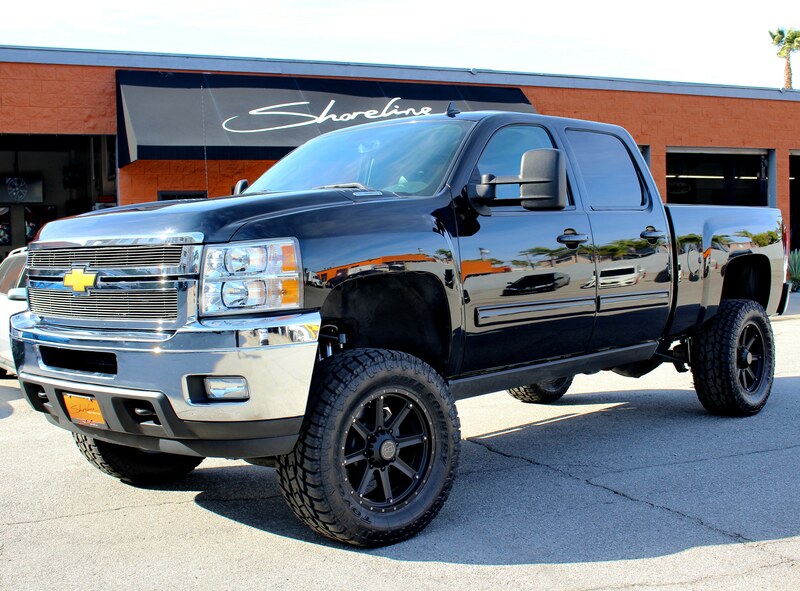 Chevy Silverado in for 22" DUB wheels, Cooper tires and a PedalBox performance upgrade. 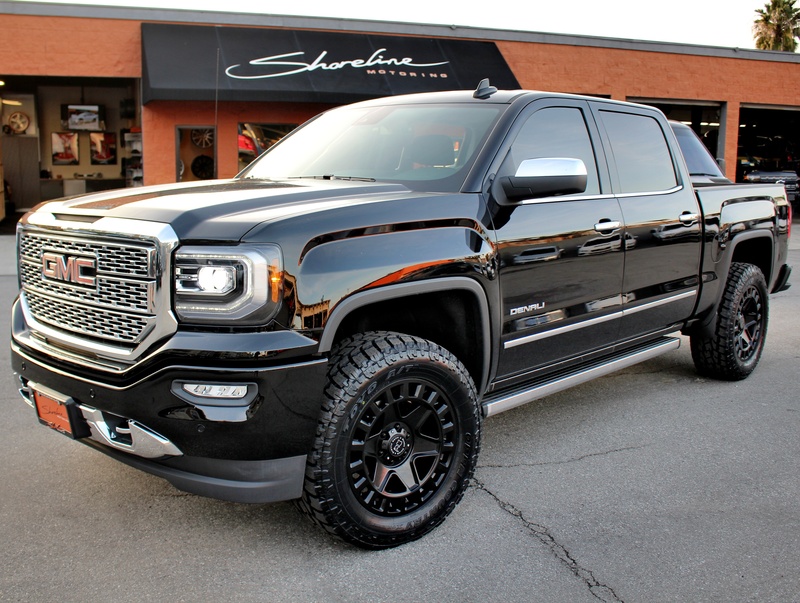 2016 GMC Denali in for a leveling kit, 20" Black Rhino Revolution wheels, Toyo A/TII tires and a PedalBox performance upgrade to finish it off. 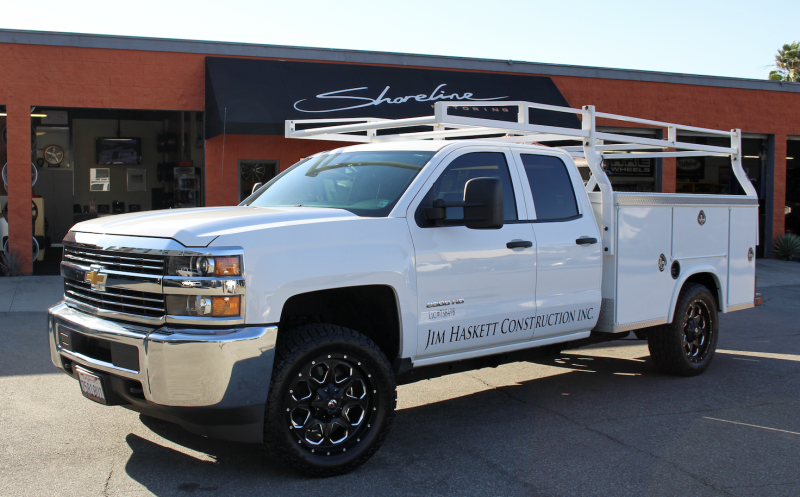 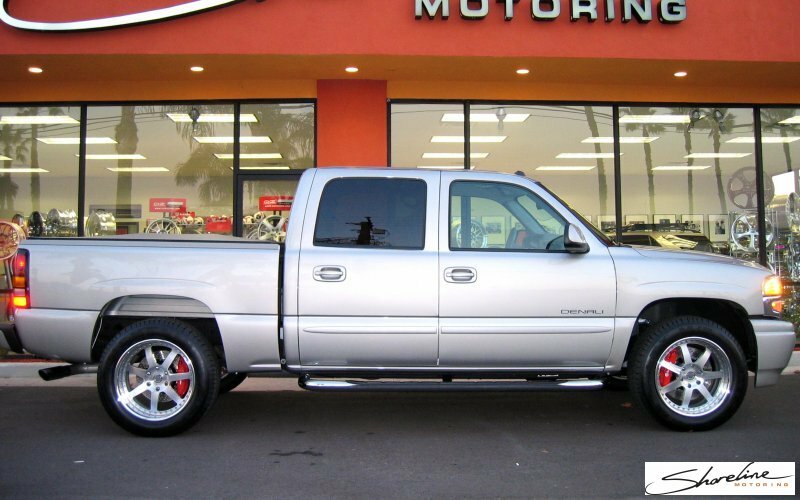 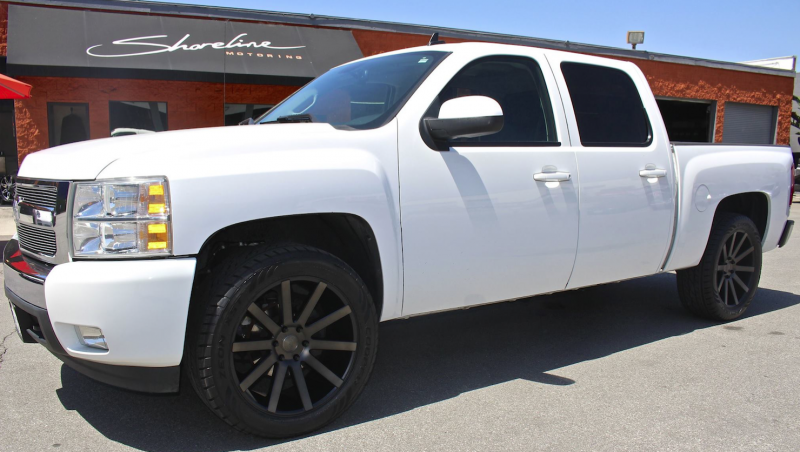 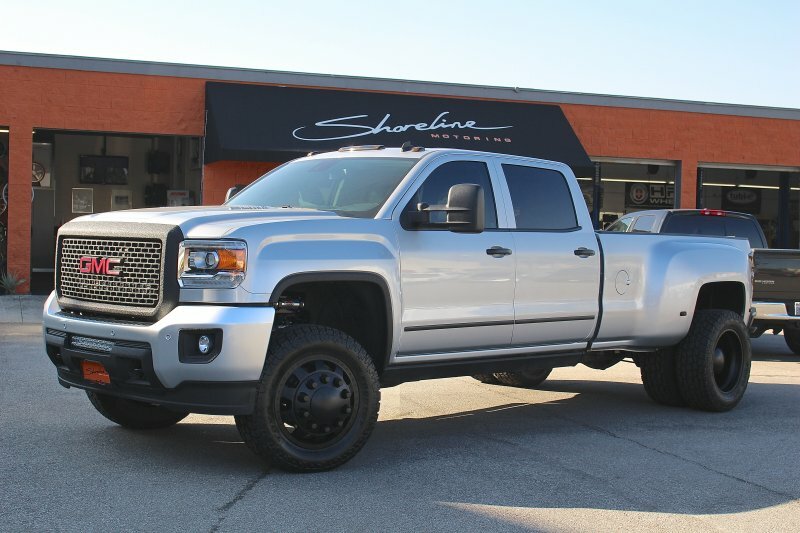 2015 Denali HD in for custom texture coating, painted trim, tint, performance upgrade, Rigid LED light bar and bed cover, other upgrades include American Force "Big Rig" style wheels, CST suspension and AMP power steps. 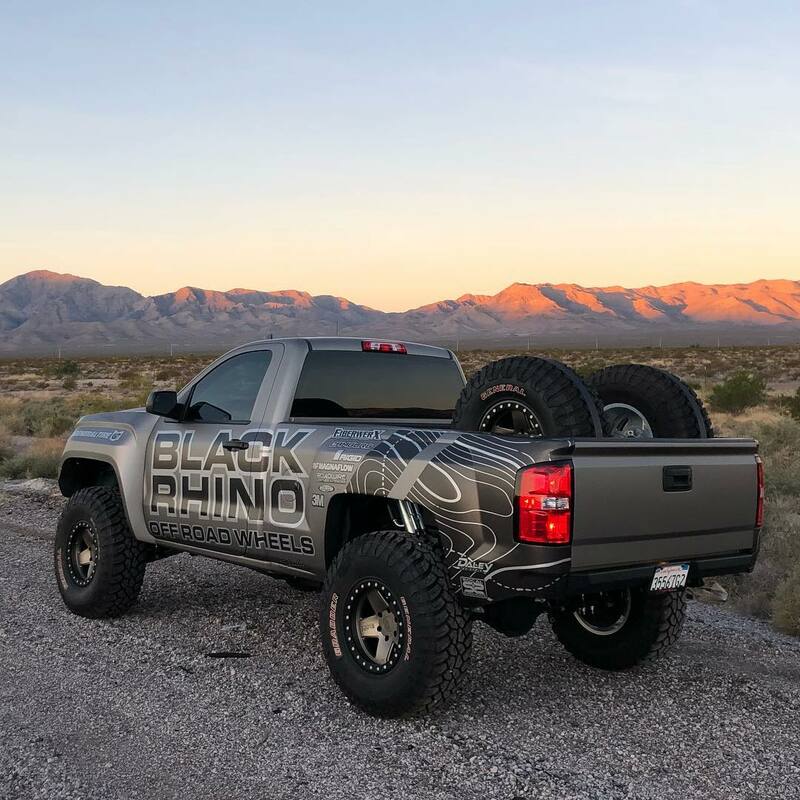 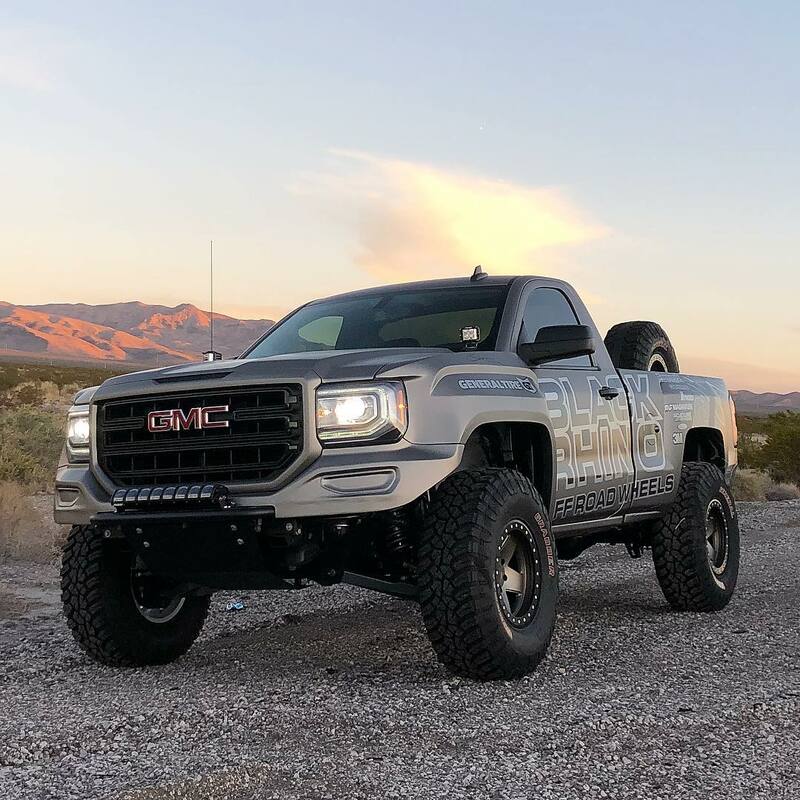 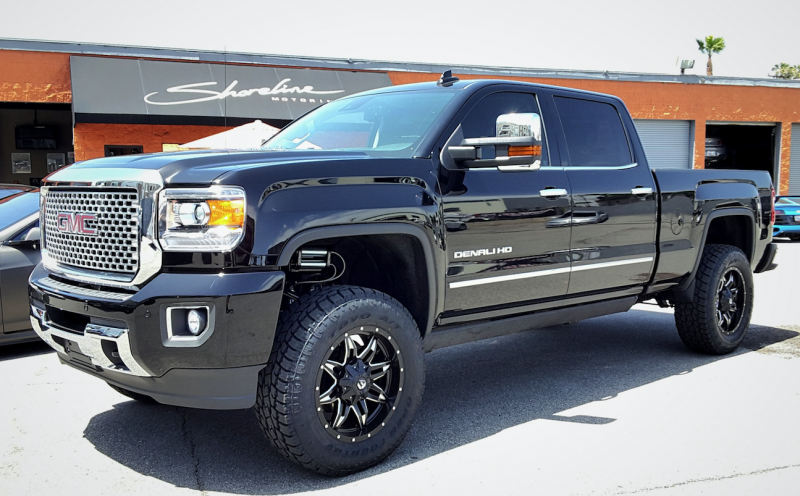 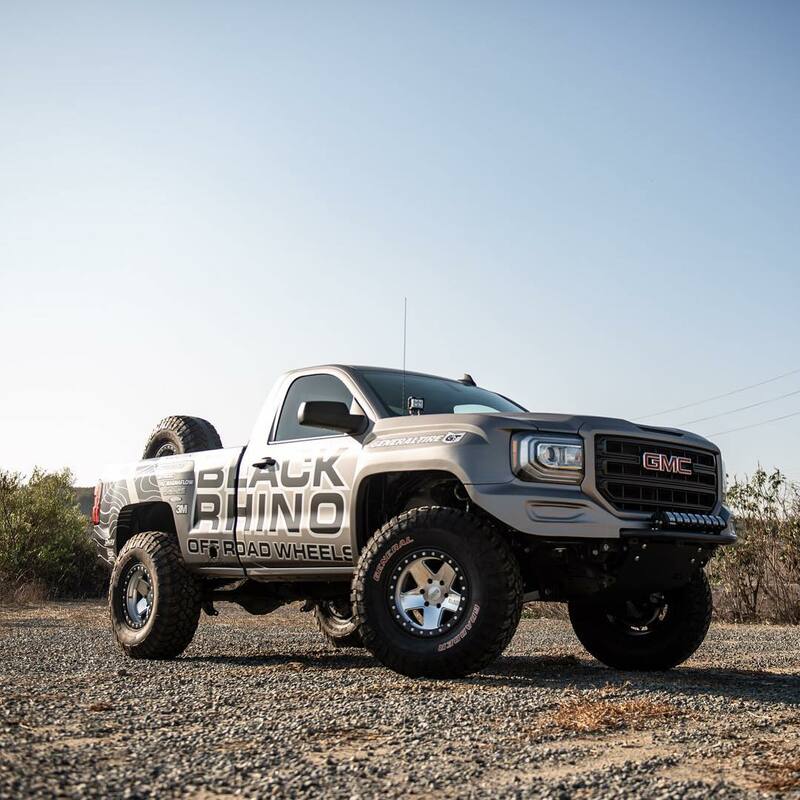 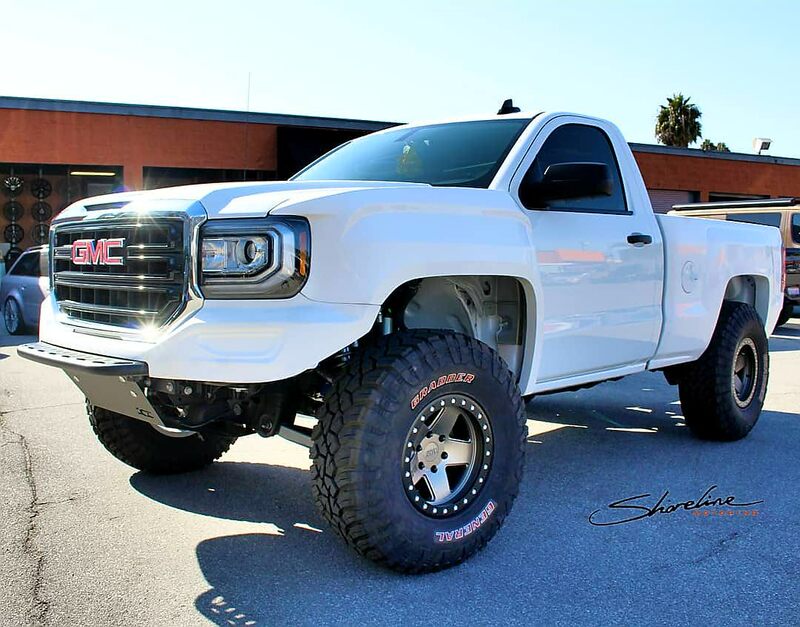 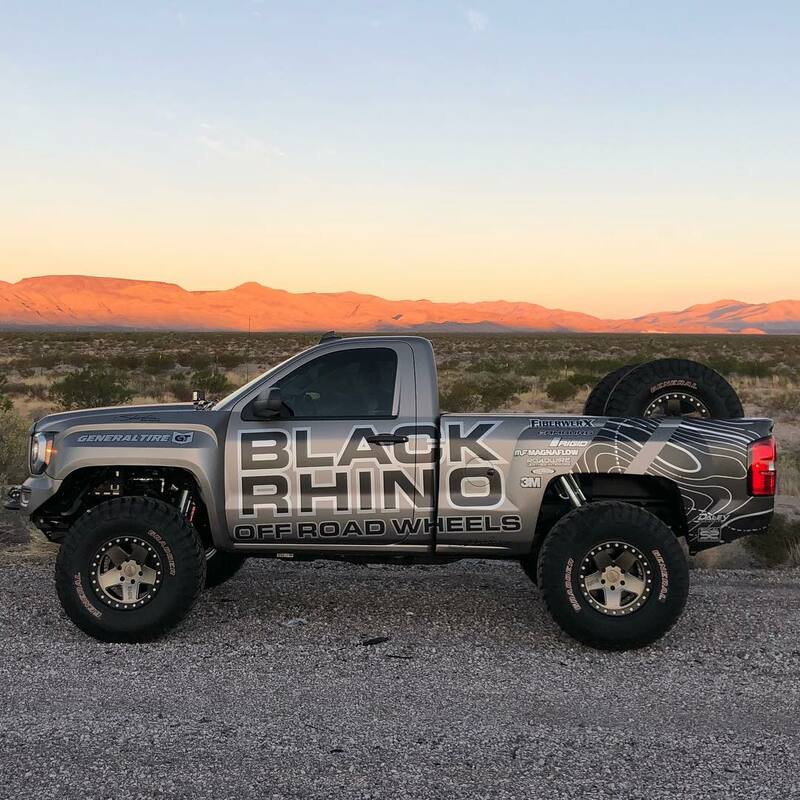 2015 GMC Denali 1500 upgraded with a front suspension leveling kit and 20" Rotary Forged Black Rhino wheels wrapped in BFG rubber. 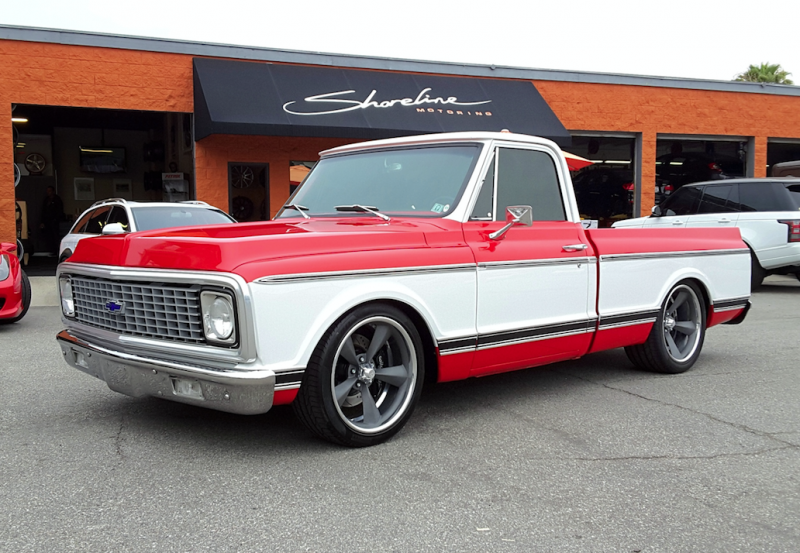 Chevy C10 in for a big make over. 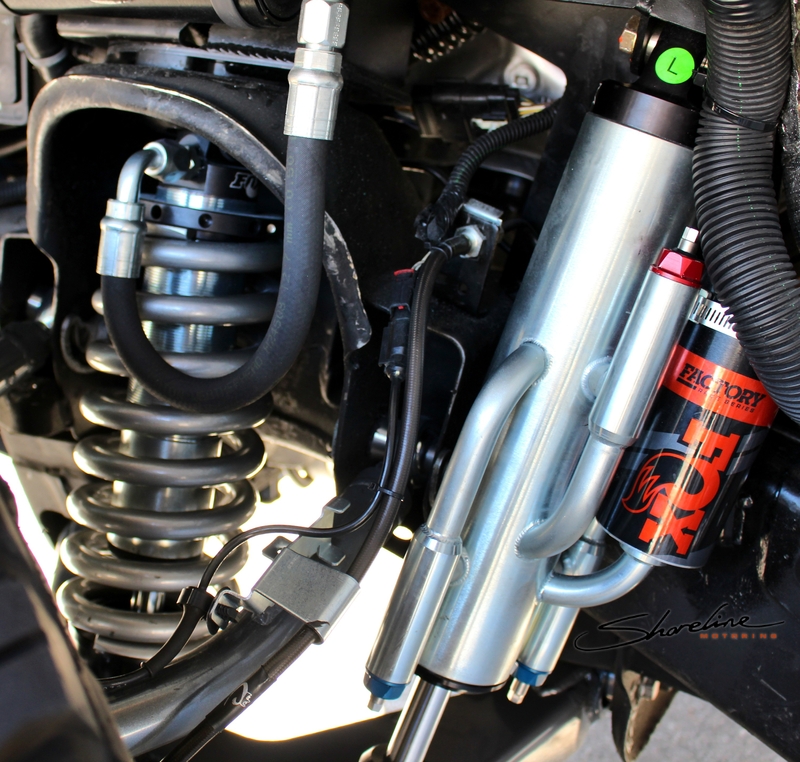 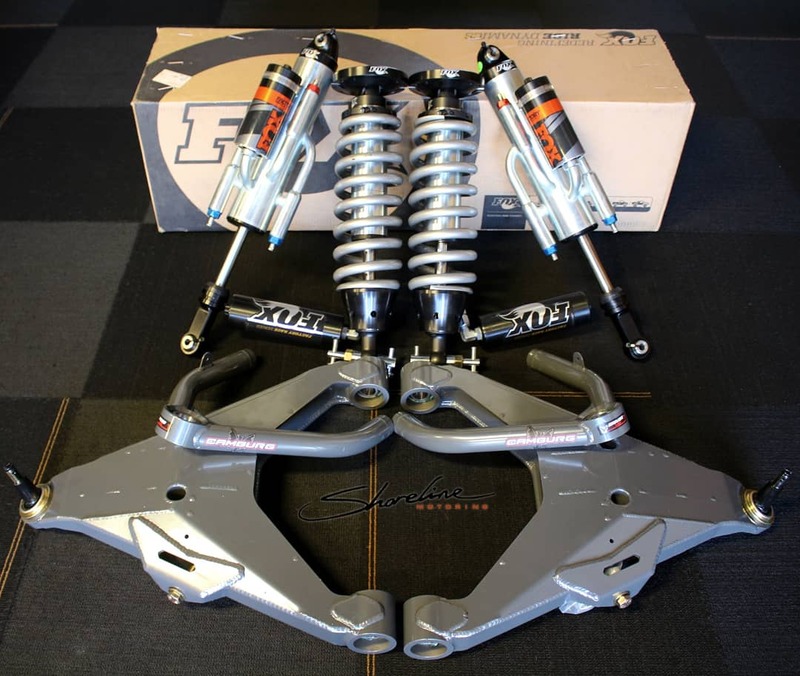 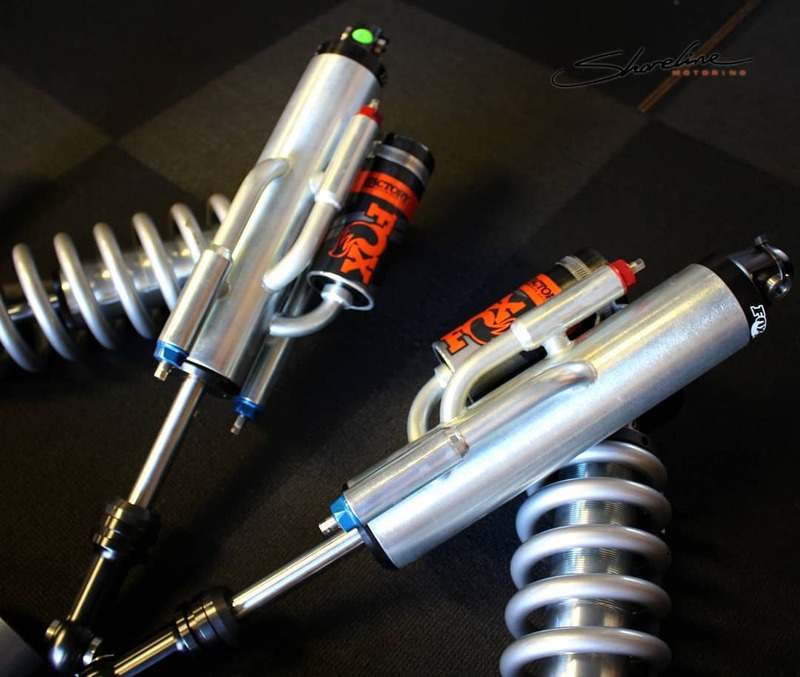 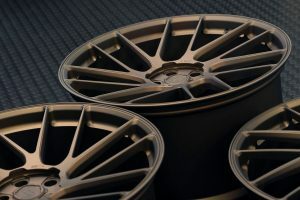 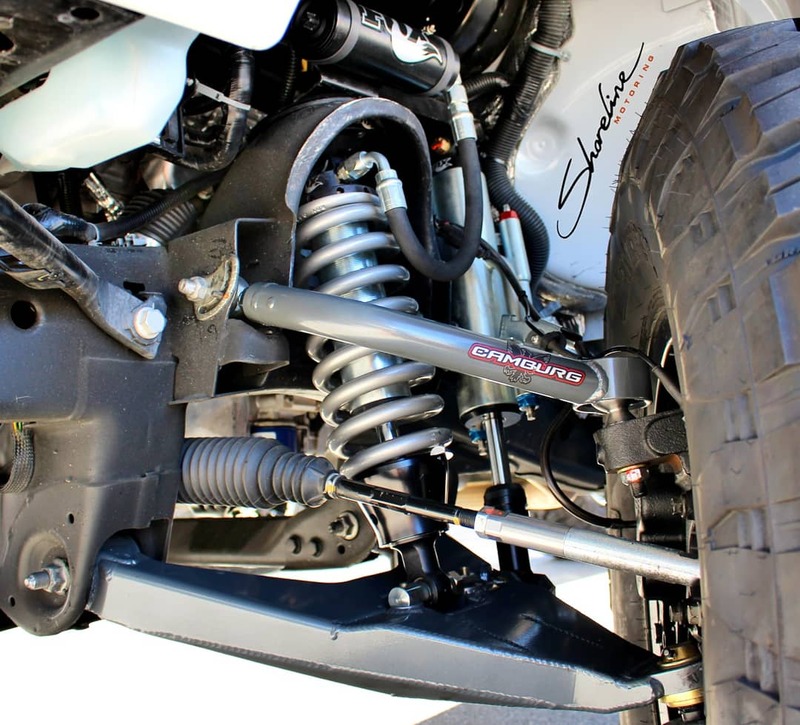 This custom build included an LS engine swap, heavy duty automatic transmission, U.S. Mag wheels, Ride Tech coilovers, control arms, and sway bars, Vintage Air A/C system, Wilwood braking components, keyless system with push button start, TPMS integration, updated audio, upholstery and an awesome paint job to finish it off. 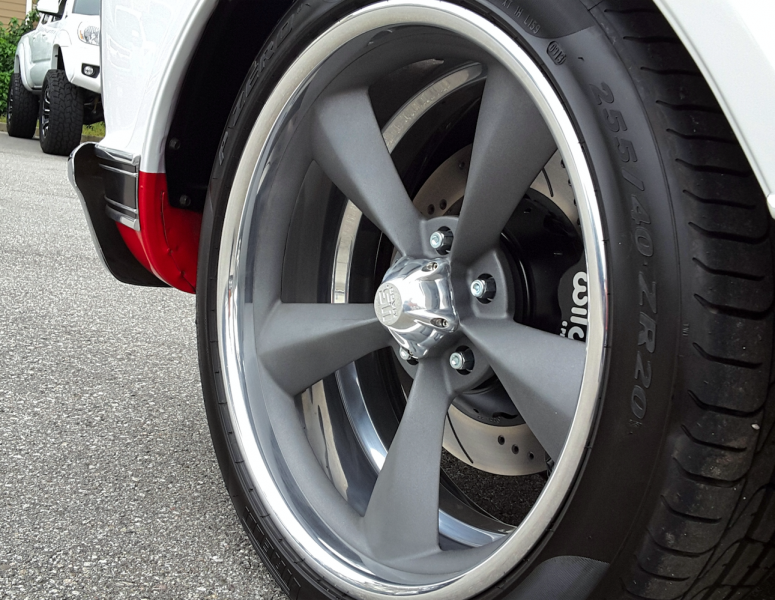 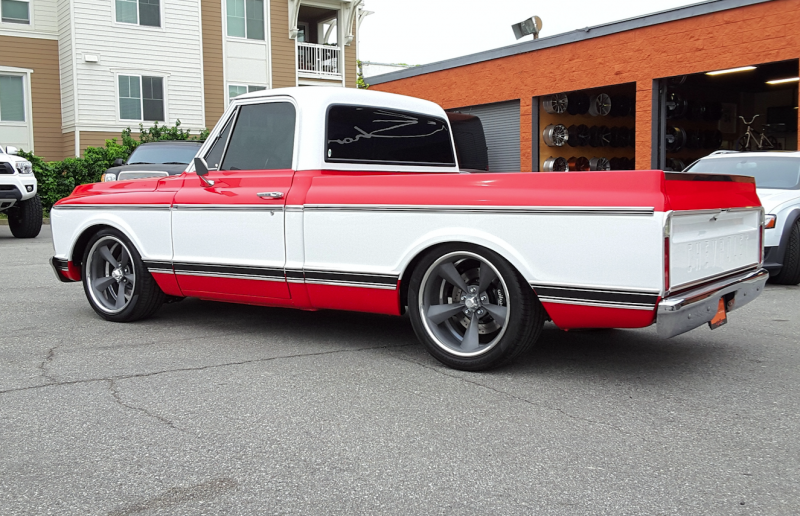 20" U.S. Mag wheels wrapped in Pirelli tires along with a Wildwood braking system equipped on this beautiful C10. 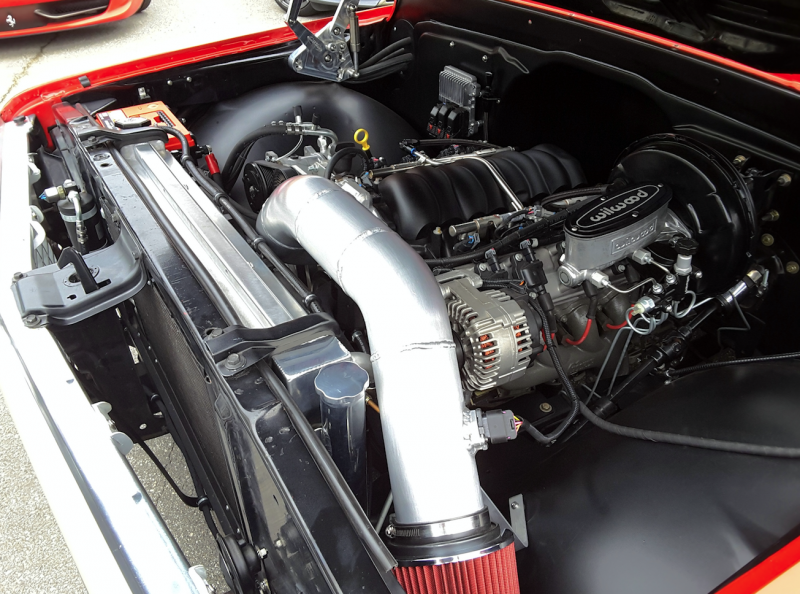 LS3 engine, custom intake with a K&N air filter and an updated LS aluminum radiator with trans cooler. 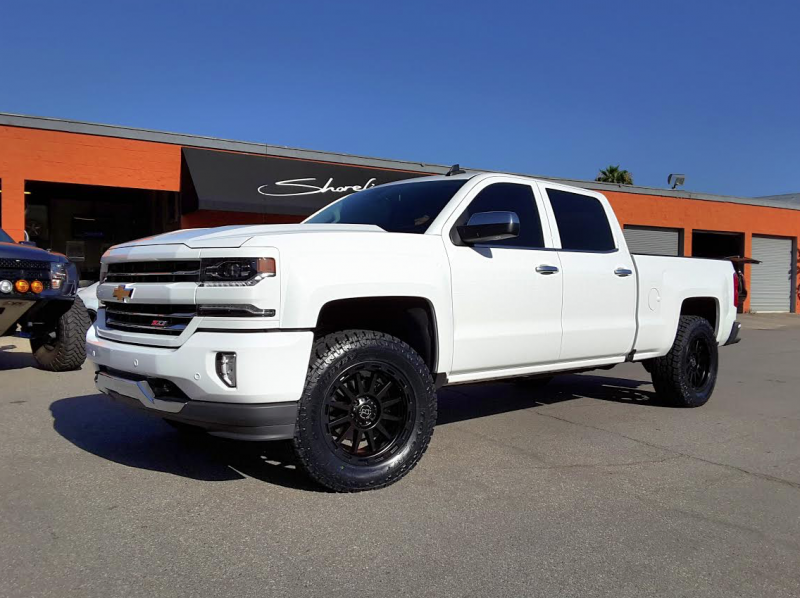 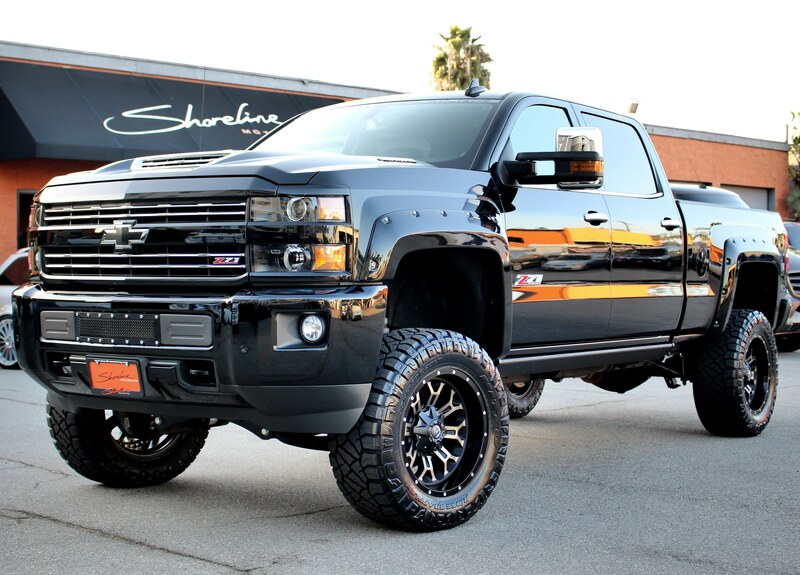 Chevy truck upgraded with Foose Wheels and Toyo tires. 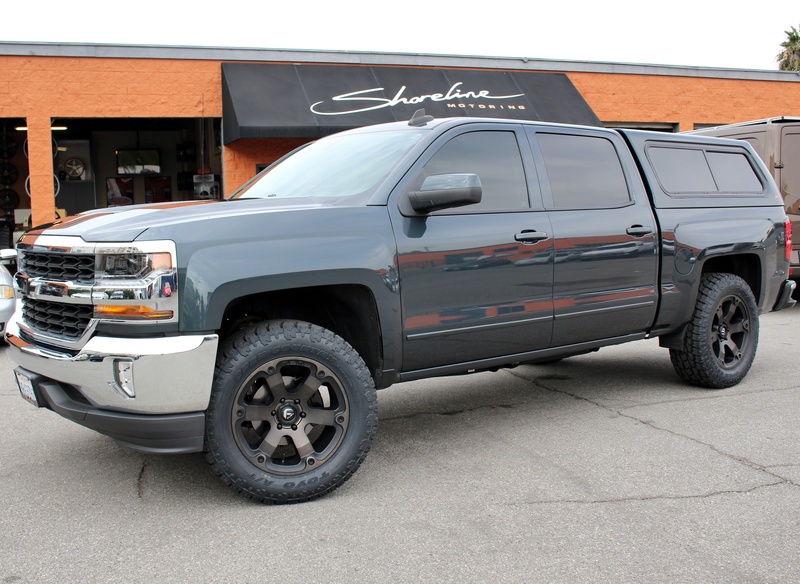 Silverado on 22" KMC Hoss wheels, leveling kit & 33" Toyo tires. 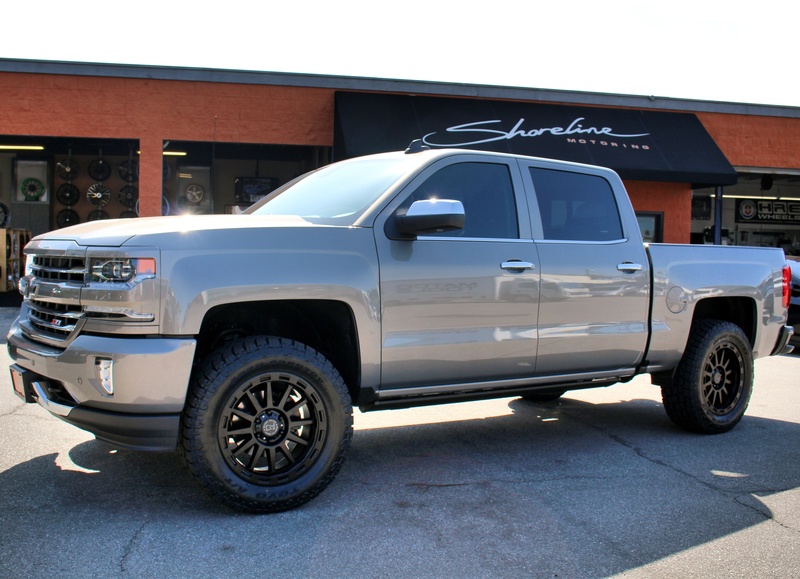 Silverado on 22" HRE and Brembo brakes.